A cool think in 1987 Topps Traded is that they got in some early 1987 highlights on the card backs. 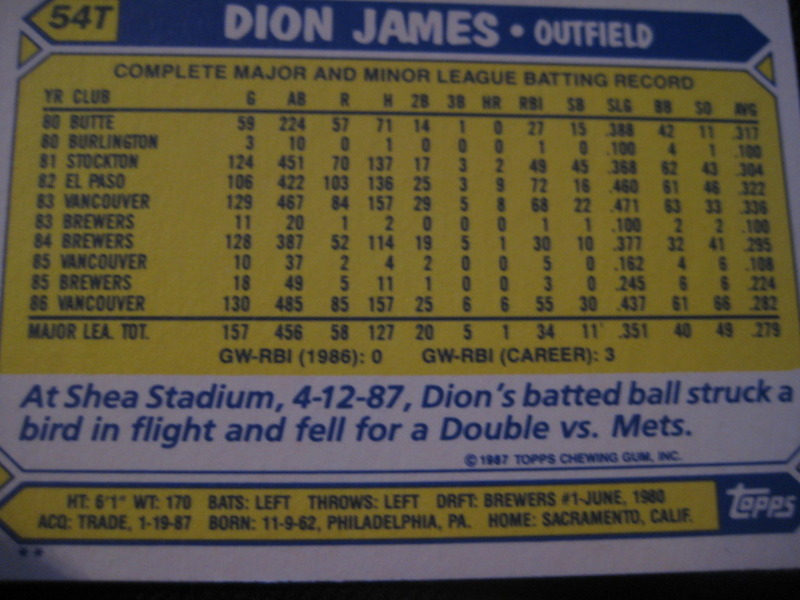 The weirdest was on Dion James's card - "At Shea Stadium, 4-12-87, Dion's batted ball struck a bird in flight and fell for a Double vs. Mets." I remember watching that play on TV, though I don't remember whether it was live or on a reply. The New York Times account of the play has a couple of odd quotes. James says that "The bird died a hero," a phrase usually referred to bats, not living things. And the paper also notes that Mets shortstop Rafael Santana gave the bird to the "reluctant" ballgirl, even though he said "the girl looked like she was upset." Real chivalrous, Rafael. Nothing says gentleman like giving a girl a dead bird. 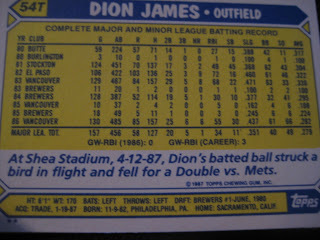 What's even cooler about this card is that James's photo was taken at Shea, which means it had to have been taken that day or at least that weekend. One of the best things about Topps cards from the mid- to late-1990s is that they often had some oddball blurbs about the players. 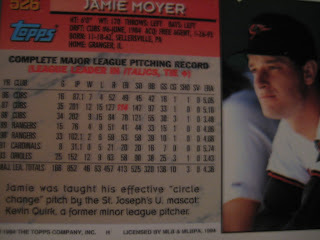 One of the best is from Jamie Moyer's 1994 Topps card. 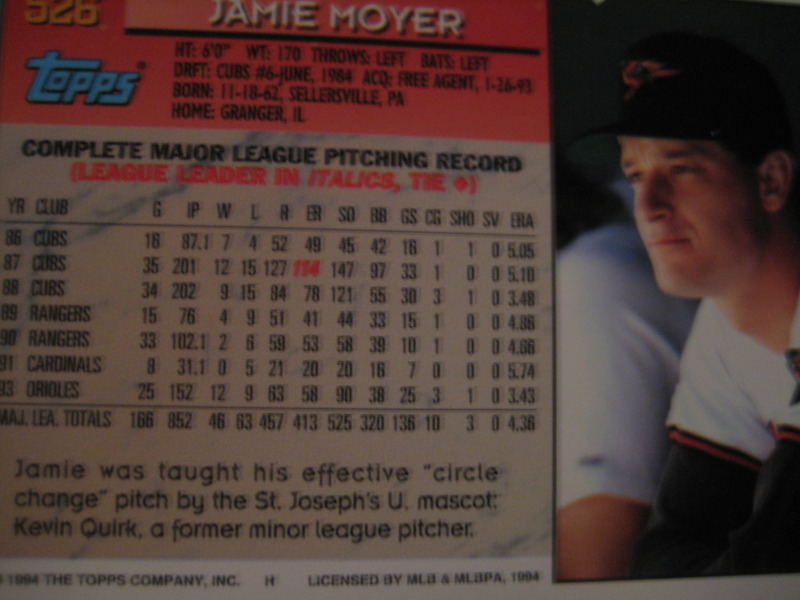 "Jamie was taught his effective 'circle change' pitch by the St. Joseph's U. mascot: Kevin Quirk, a former minor league pitcher." When I saw that blurb I was picturing an older man who had pitched in the 1950s or something, and was now reduced to being a mascot, trying to find a young ballplayer who would listen to him. Someone kind of like Fortune in the movie Rudy. Actually, Quirk was only three years older than Moyer and had just come back to school after two years in the Yankees organization. The student who gets to be the St. Joseph's Hawk gets free tuition, so Quirk's three years in the role were worth the ridiculousness of being a mascot. 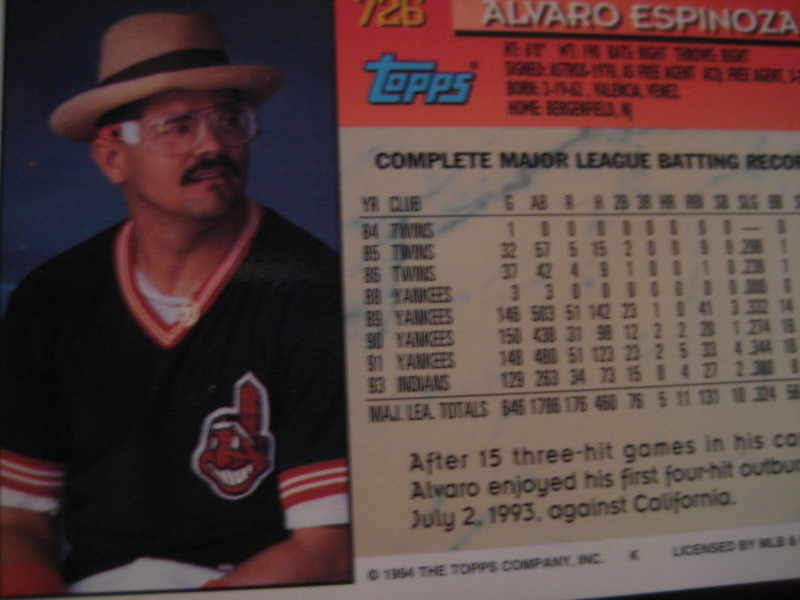 Alvaro Espinoza tries to draw attention away from his giant goggles with this dashing headpiece. Blogger Wrigley Wax has been chronicling Stumpy, the weird little trivia question guy from 1996 and 1997 Collectors Choice. 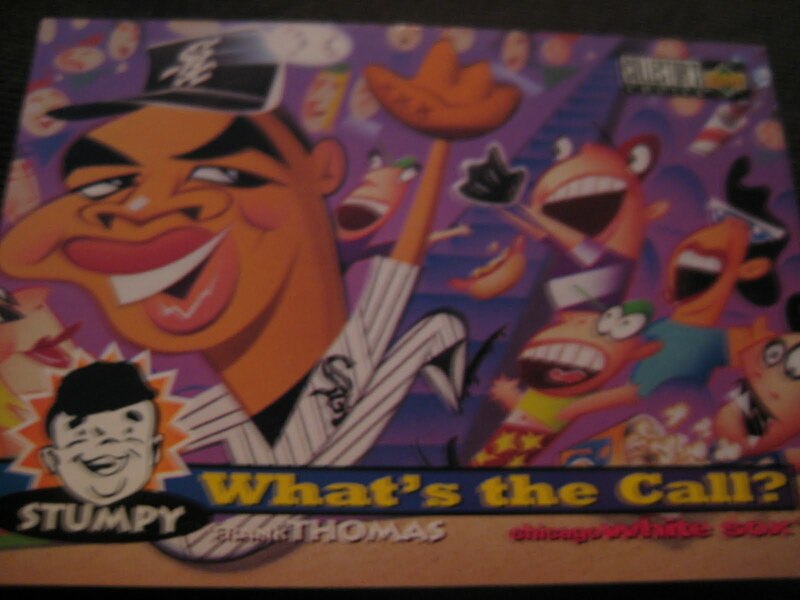 Although there were no trivia questions on the regular cards from 1995, he does appear on "What's the Call" cards, like this one of Frank Thomas, who appears to be farting on the crowd but is actually catching a foul pop-up. The other day SpastikMooss posted a card of Sandy Alomar wearing an eye-black goatee on 1993 Throwback Uniform Day. 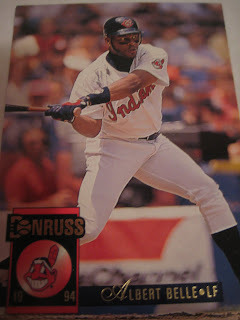 We got to an email exchange and he informed me that Albert Belle could also be seen fooling around with eye-black that day, as several of his cards from 1994 show him wearing eye-black muttonchop sideburns, including his Stadium Club, Upper Deck, and the Donruss card below, which has the sideburns on the front and a "clean-shaven" Belle on the back. 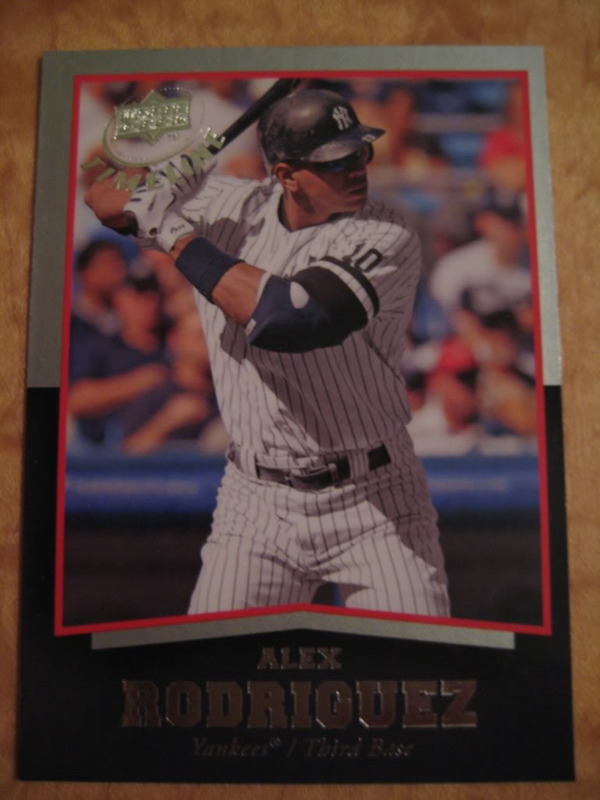 This couldn't be an Upper Deck, or a Donruss, or a Fleer . . .
. . . it could only be Topps. Rey Sanchez's 1994 Topps card shows him holding his 1993 Topps card. I wonder if a Topps photographer gave him the card to pose with, or if he saw the card while signing, knew there was a photographer watching, and came up with the idea himself. 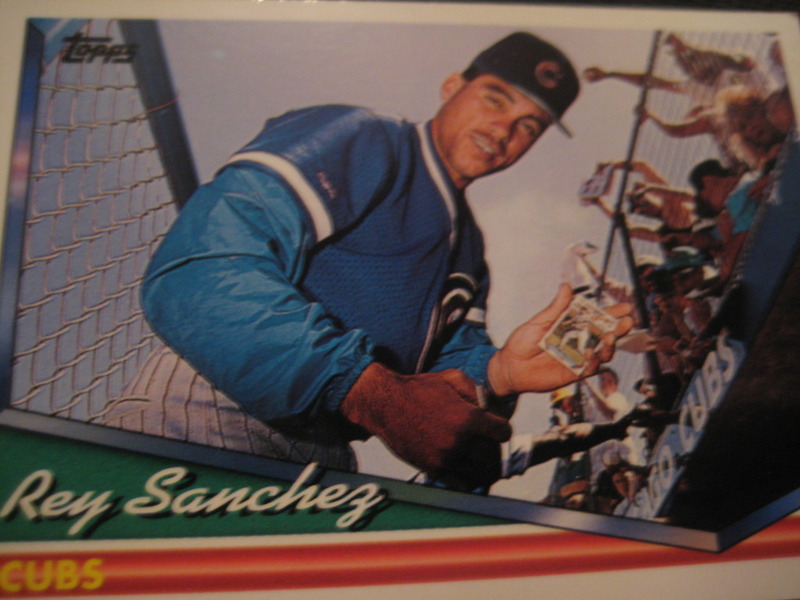 If that is the case, I wonder if Sanchez knew it was a Topps photographer, or was it a freelancer who decided to send the photo to Topps? 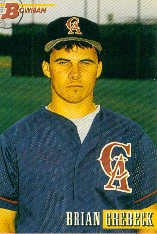 Brian Grebeck played twelve seasons of professional baseball, mostly in the Angels organization, including parts of five seasons at the AAA level. Most recently he has coached high school baseball in Texas. He kindly shared with me his thoughts on baseball cards. "I don't collect cards, but I do have a few. My kids like the Yankees and Red Sox. 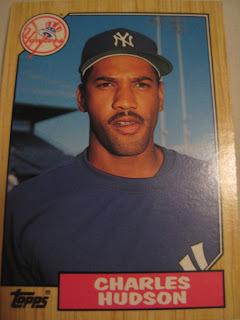 I enjoy seeing the older cards that are worth alot." Jeff Schaefer played five years in the major leagues as an infielder for the White Sox, Mariners and A's. He is now the Co-Founder of the Carolinas Baseball Center in Charlotte. He kindly took the time to answer my questions about baseball cards. Donruss card # 525 is an error card. 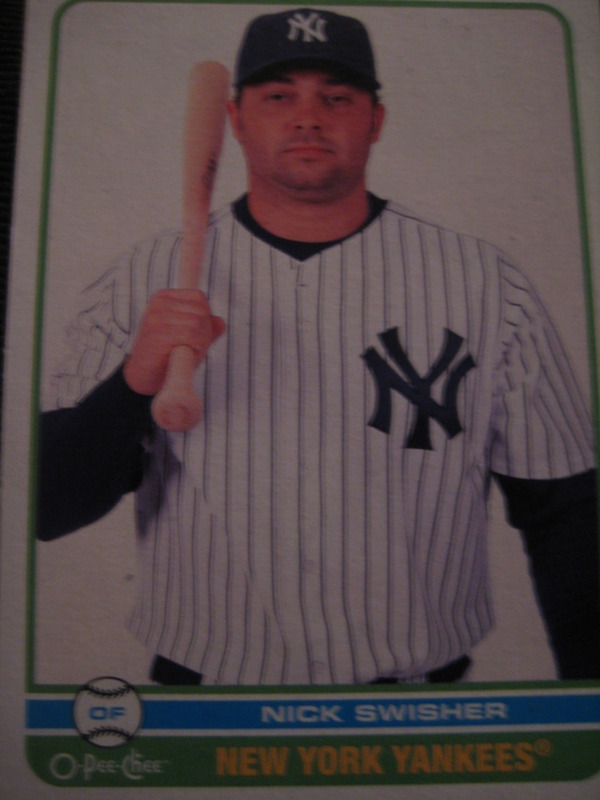 Tino Martinez' picture is on the front but everything else about the card is mine. My Aunt told me she had the card on her dresser and was waiting for me to get to spring training in Arizona to sign it for her. Each time I spoke to her she kept saying how big I looked on the card. I didn't pay much attention to her comments about the card. When I arrived in Arizona for spring training she gave me the card to sign and I realized it was not my picture...It was Tino and he certainly wasn't much bigger than I was. 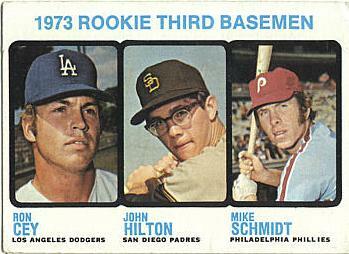 Your favorite baseball card is always you first big league "rookie" card. You get one of those and you have arrived. I have boxes of cards that have been given to me over the years but I am not a collector. On most Sundays there is a traveling "flea market" (I guess that is what you call it) that sets up in various railroad station parking lots on Long Island, usually in Bellmore or Baldwin. I checked out the Bellmore one this week and was really impressed. There were about 50 tables of people selling all kinds of great old junk like old Star Wars figures and other toys, TV guides, CDs, and all kinds of other weird and random stuff. I walked around for about an hour and ended up picking up a few goodies - twenty packs of late-80s early-90s cards for $.50 each from one dealer, a box of 1989 Upper Deck Series 3 (always so hard to get these cards) for $5, and from another dealer the 1990 Series 3 and 1988 Topps Traded, both of them for $5. Now I finally have all 924 of Topps's wood-panelled cards of 1987! If anyone has any trade needs for those three sets, let me know! I also got a bunch of $.10 singles from yet another dealer. 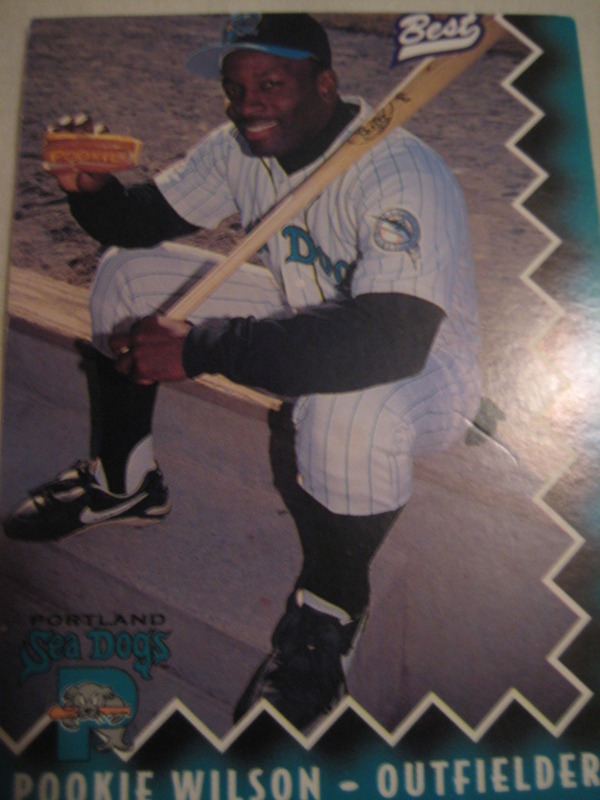 Most of these were star cards that booked for much more of that, but my favorite is this minor league card of Pookie Wilson holding a hot dog that has "Pookie" written in the mustard! I almost forgot in my previous commissioner posts my best idea of all - what to do about the Division Series. A best of five gives fluky teams too much of a chance to win. Also, there is not enough disincentive to win the division and not just the wild card. So here is my solution - have the wild card team play the team with the best record in the league (even if in same division) in the first round. To win the series, the team with the best record need win only three games, but the wild card team must win four. Hence, a best of six series, as the maximum number of games would be six. The other series in each league, the one without the wild card team, could be either best of six or best of seven, I could be convinced either way. After my post yesterday I got to thinking more about the baseball commissioner's executive team. The most important thing any good leader does is surround himself with a great team. Specifically a top-notch head of legal and head of finance are the most important roles. 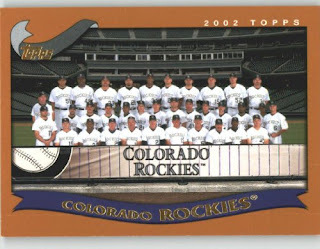 Since this is a baseball card, who would be the best candidates who have appeared on baseball cards? Legal is easier. 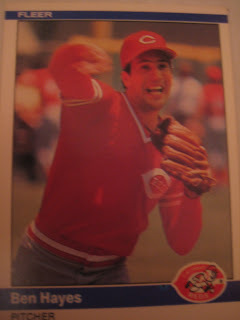 A lot of ballplayers have gone on to practice law (Tony LaRussa, Ed Lynch, Pete Broberg, Jon Perlman, etc) but the best candidate among ballplayers-turned-lawyers is former Reds pitcher Ben Hayes. 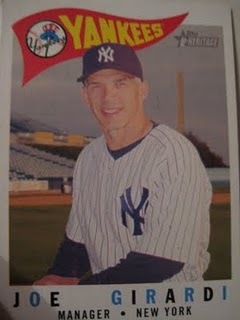 The current president of the New-York Penn League, he was the General Counsel of Minor League Baseball from 1993 to 2000. Finding a former major leaguer with extensive finance experience is harder. According to this blog post, former Yankee Scott Nielsen is the CFO of a company called Stampin' Up. While it sounds kind of dinky, it is one of Utah's Top 15 Revenue Growth companies. Anyone got a better idea? Our newest blog bat around asks what our agenda would be if we replaced Bud Selig as commissioner when he retires in 2010. 1. Institute full instant replay. Sure, the Yankees benefitted from the lack of replay in last year's postseason, but what would happen if a bad call went against the Yankees? That would be horrible. 2. To help insure parity, instead of a salary cap, only allow teams to be bought by people for whom the team will represent at least 75% of their income, so that teams don't become just another entry in a long list on someone's balance sheet. Probably there are other things that would need to be done as well, but I would need to hire a sophisticated account to figure all that out. Probably need to hire a skilled labor negotiator as well. 3. No playoff games involving east coast teams starting later than 7pm EST. 4. Have more than one baseball card licensee (doesn't have to be Upper Deck). 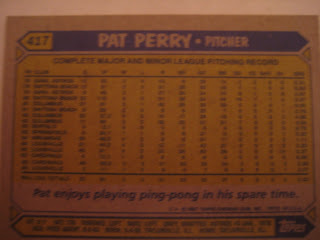 Any company with a baseball card license must market an inexpensive set that children can easily collect. 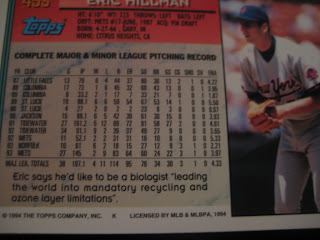 So what became of Hillman? He now is the Creative Director for a company called Pure Puppy that sells high-end fur-care products for dogs. Hey, we can't all become biologists - at least the company's products are all natural. 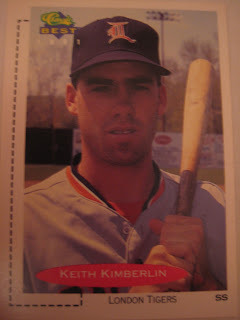 Keith Kimberlin played for five seasons in the Tigers and Phillies organizations. He is now a Project Manager at American Steel Fabrication in St. Louis as well as a private baseball instructor. He kindly took the time to answer my questions about baseball cards. 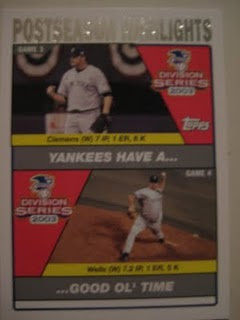 I think the only thing I remember about the cards was who was going to end up with a crappy picture on their card. It was not up to us what picture the card company used. I usually liked the action cards better than a posed one but I think I only had one of them. I do not collect anything these days except dust. Thanks! 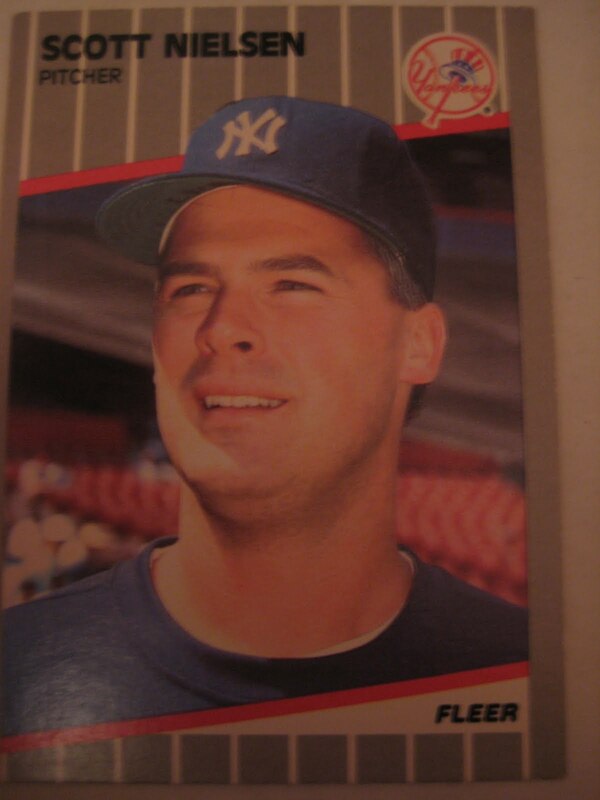 The only card I have of Kimberlin is not an action shot, but this posed card from 1991 Classic Best. 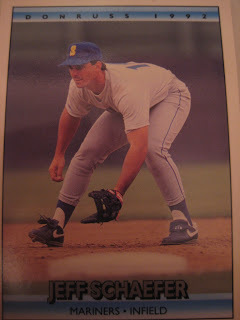 Randy Brown played 11 years of professional baseball in the Red Sox, Yankees, Pirates and Mariners organizations. For the last eight years he has been an instructor at Baseball USA in Houston. He kindly shared with me his thoughts on baseball cards. "One of my favorite cards is a 1996 or 97 card while playing for the Trenton Thunder. My dad and I were card collectors but when he passed away I stopped. We have every Topps set in the 50's and every card made from 1970 to 1994. I got alot of them. I have about 85 % of the 52 set. Missing the Mantle and a few other big names. Those sets are in mint condition. 72-94 still in sealed boxes. 71-72 in binders. All in perfect condition. May be looking to dump some of them." Thanks! 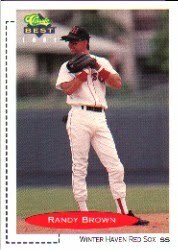 I couldn't find the Trenton Thunder card, but here is one with the Winter Haven Red Sox. Matt Walbeck caught for eleven seasons in the major leagues for the Cubs, Twins, Tigers, Angels and Phillies. He is now the manager of the Pirates' Double-A team, the Altoona Curve, whom he has guided to the Eastern League Championship series, which starts tonight in Altoona against Andy Pettitte and the Trenton Thunder. He kindly took time from his busy schedule to share some baseball card stories. 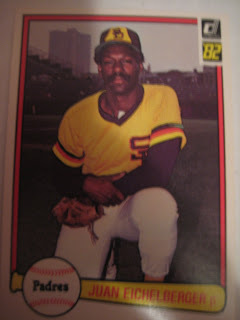 "When I broke into the big leagues card companies were everywhere. It was pretty cool because I would get 5 new cards a year. I kept all of them and put them in frames to put on display. Each card means something special to me and reminds me of that particular day/game/season. There's one of me hitting and getting jammed so bad that my bat is snapping in half. Another of me bunting (not cool). Another of Phil Nevin on the picture with my name on it. I like the hologram card with me touching home plate after hitting a grand slam in Milwaukee with my teammates at home plate high fiving me. My favorite is Topps Coming Attraction 1993. 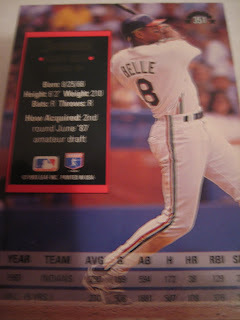 Kind of cheesy, but it was my first big league card. I used to collect cards when I was 8-12. I liked putting the players together on their respective teams. I chewed the gum too." Thanks! 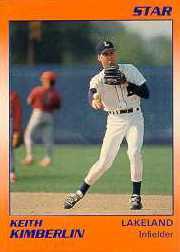 Walbeck played with Nevin on the 1997 Tigers, but I couldn't find any cards that matched the description. 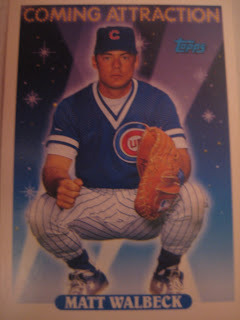 I also couldn't find a picture of the hologram card. The grand slam was May 4, 1994. 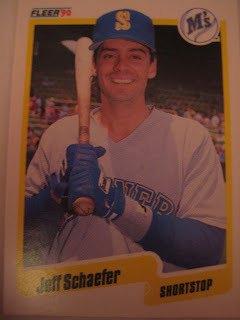 I wonder if he is thinking of his 1994 Sportflix card, which shows him batting in Milwaukee? 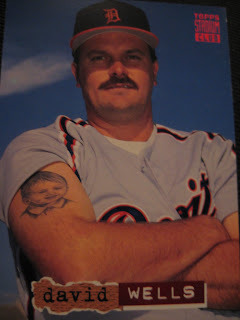 Here David Wells shows off a picture of his son, Brandon. While Brandon may grow up and change, the portrait will never change. I guess if Wells ever got so drunk that he forgot what his son looked like, he could look at his arm. 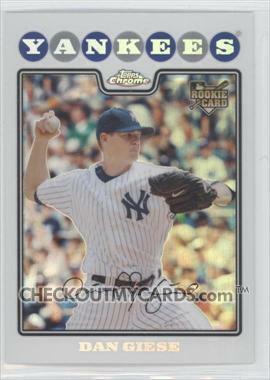 Dan Giese was a thirty-one year old rookie with the 2008 Yankees, going 1-3 with a 3.53 ERA in 20 games. Currently in the Oakland organization, he pitched in eight games at AAA Sacramento, pitching to a 1.74 ERA in eight games as he began his comeback from Tommy John surgery. He kindly shared with me his stories about baseball cards. "My favorite story about a card of myself was after my first season with the Lowell Spinners I was joking around on a personal information sheet and jokingly wrote that I was a gold medal winner for the state of CA in Kempo Karate (I don't even know if there is a such thing as Kempo Karate). 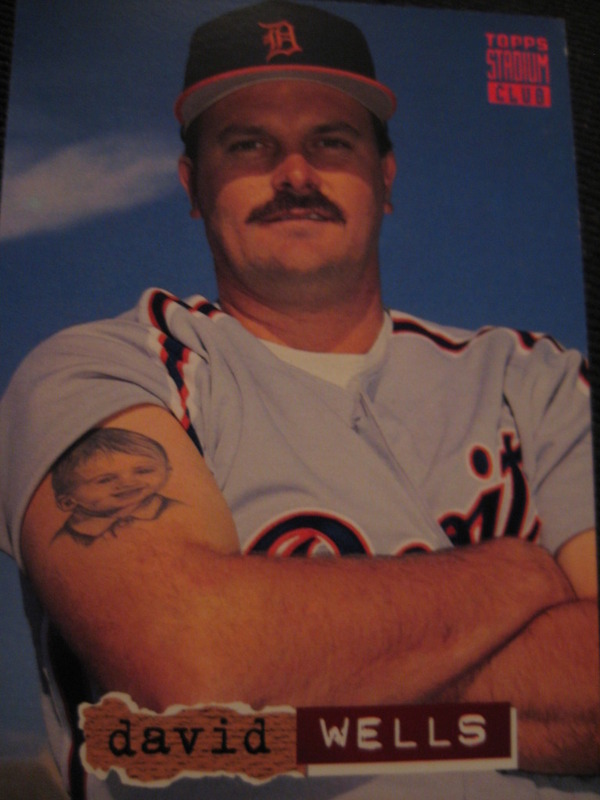 Anyway, they added it to the back of my baseball card. My favorite card of myself is the 2008 Topps Chrome rookie. I just like the live shot of pitching in the old Yankee stadium. My favorite card of another player has to be the 1989 Upper deck Ken Griffey Jr. If you had that card when I was a kid, you were the stud of the neighborhood. I still to this day collect baseball cards. Mainly off of ebay. 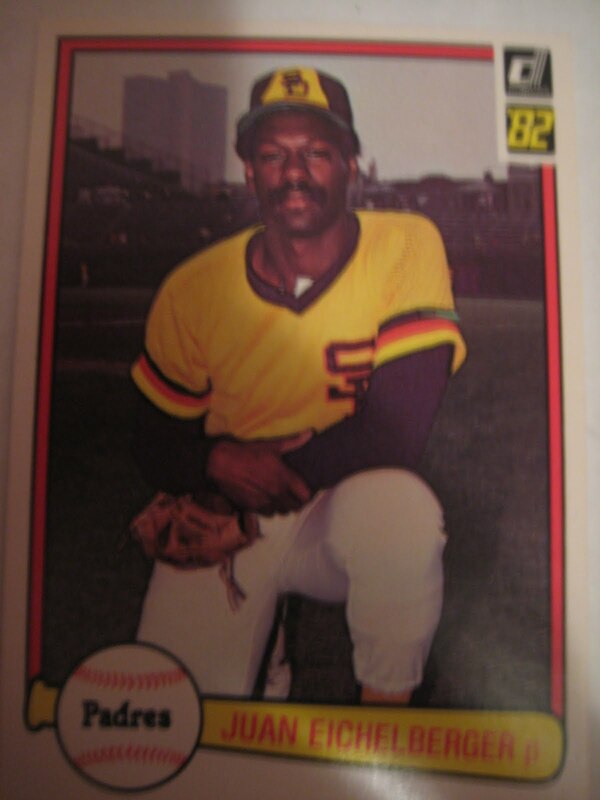 I just bought a Rickey Henderson Rookie (1980 Topps). I like to collect rookie cards up until about the late 1990's. After the 1990's they printed so many and they are way too expensive." 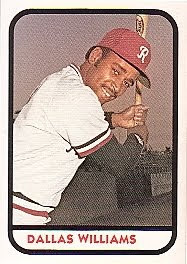 Dallas Williams played twelve years of professional baseball, including time in the major leagues with the 1981 Orioles and 1983 Reds. Since his retirement, he has had a long coaching career, including time as the first base coach for both the Rockies and the Red Sox. Currently the third base coach for the Gary South Shore Railcats of the Northern League, he kindly shared with me his thoughts on baseball cards. 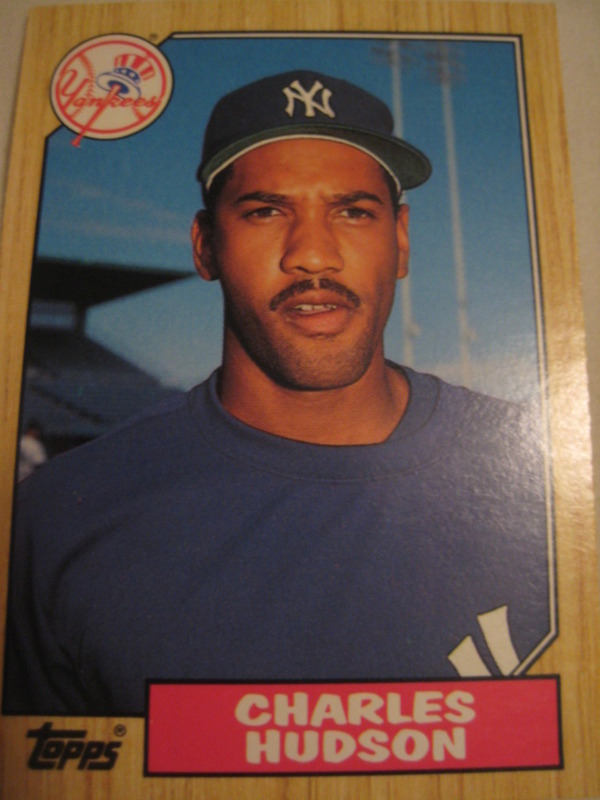 "All of my baseball cards were in the minor leagues. 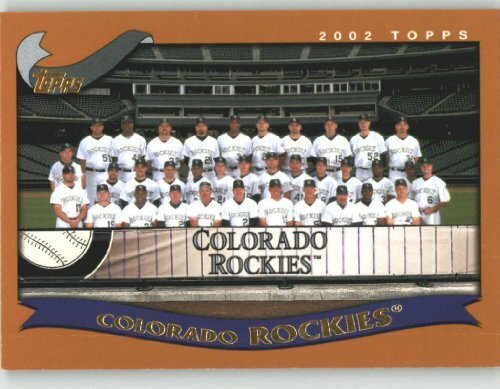 Although I had time as a player I never got a major league baseball card (other than the team cards when I coached in the big leagues). I traded and collected cards as a kid and I had a huge collection but through the years they disappeared. My son had a great collection as well but he stopped a while ago. I had Mickey Mantle, Willie Mays, Hank Aaron, Frank Robinson in my collection. They were my favorites!" 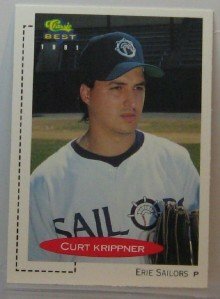 Curt Krippner pitched in the Milwaukee Brewers organization from 1988 to 1990. He is currently the Senior Vice President of Sales, South Region, at Marquis Jet, a company that sells private aviation flight time. He kindly answered my questions about baseball cards. -Do you have any stories about cards of yourself or of other players? I remember looking at all old cards we had in a drawer, and when going through them with my friend who collected, he saw the Mike Schmidt rookie card and was telling me how valuable that was, so it was a great surprise. 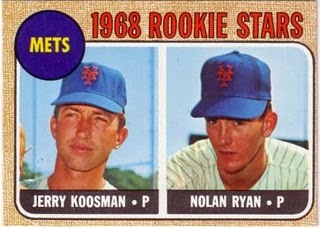 Since Nolan Ryan is one of my favorite players, his rookie card, but I don't have it. I don't collect them as much as I used to, but I hope one day it becomes a popular pastime for kids and adults like it was 30 years ago. Some good ol' baseball days then. Thanks! 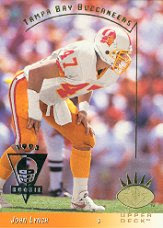 Here is a card of Krippner from 1991 Classic Best. 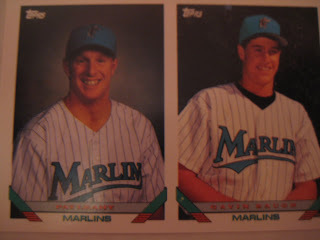 Pat Leahy pitched in the Florida Marlins organization from 1993 to 1995. Following his retirement from baseball, he earned an MBA and is now the Director of Market Research and Internal Training & Southern Region Sales Leader for American Independent Marketing, a leader in long-term care insurance marketing. He kindly answered my questions about baseball cards. I just remember how we always felt on picture day, it was actually quite unnerving. Not that it was an inconvenience, but the photographer is telling you to do this, do that and you were always in the back of your mind saying to yourself "I sure hope I don't look like a dumbass." My favorite card of myself was from Portland in 1995. It was a live action shot of me pitching. As for other players, I've always enjoyed the action shots because that's how I like to remember my former teammates. 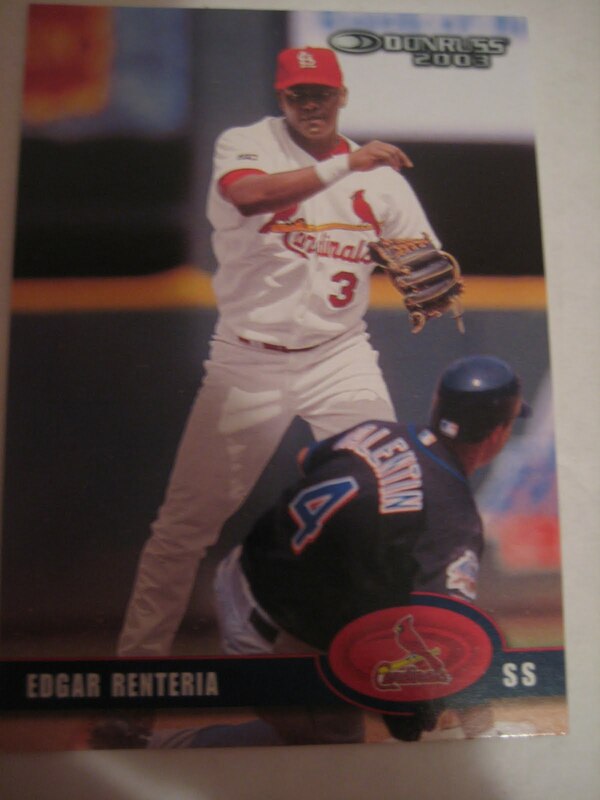 I've also always enjoyed looking at both John Lynch's football cards and Edgar Renteria's baseball cards. Us three were roommates in Kane County, until John departed the Marlin organization for the Tampa Bay Buccaneers. 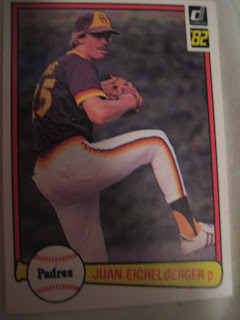 John and I had the responsibility of overseeing many of Edgar's off the field, non-baseball related activities such as eating, sleeping, shopping, etc. Both Edgar and John are beautiful people and I couldn't be happier for their prolonged successful All-Star / All-Pro caliber careers. Unfortunately, I was never an avid collector of cards. Always had a few favorite rookie cards of the greats (that I purchased on the secondary market) that I kept in a safe deposit box but no real collection or complete sets. Thanks! 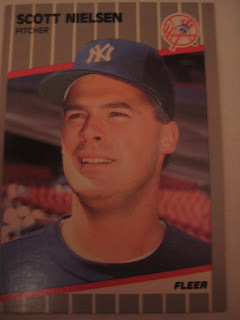 Unfortunately I couldn't find a picture of the 1995 Portland card, so here is a Leahy from my collection, from 1993 Topps. Chance Reynolds played in the Giants, Pirates and Brewers organizations between 1993 and 1996. He now owns his own company, selling his invention, the Pitchers Nightmare swing trainer, endorsed by Terry Pendleton and Chris Dickerson. He kindly answered my questions about baseball cards. I definitely used to collect cards when I was a kid. Every time I came near a Revco (the local drug store in Cordele, GA back in the day), I had to have a pack of cards. Still have most of them but I have now passed them on to my oldest son (he's six). 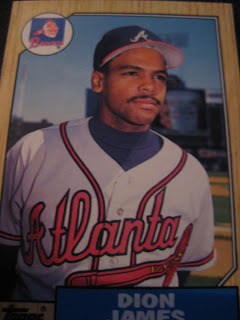 My favorites back then were Don Mattingly, Pete Rose, Reggie Jackson, and of course, all of the Braves. I do. My rookie card with the Everett Giants is an action shot with my cap turned around backwards. I had just shaved my head (for some unknown reason) and I loved catching with just a cap on, no skull cap. That pic was taken just before a game in which the ump made me start wearing a skull cap and giving up my beloved cap behind the cap (ala, Rick Dempsey). I don't anymore, but my son does. And I still get the same thrill I used to when he opens a new pack and we share the treasures, teams, and stories each pack contains. Thanks! 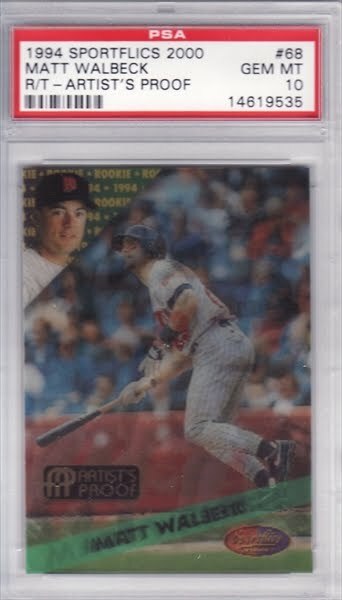 I couldn't find a picture of any of his cards (1993 Classic/Best Everett Giants 21; 1993 Fleer/ProCards 3772; 1996 Carolina Mudcats Best 15), but here is a recent picture of him at the Metrodome. 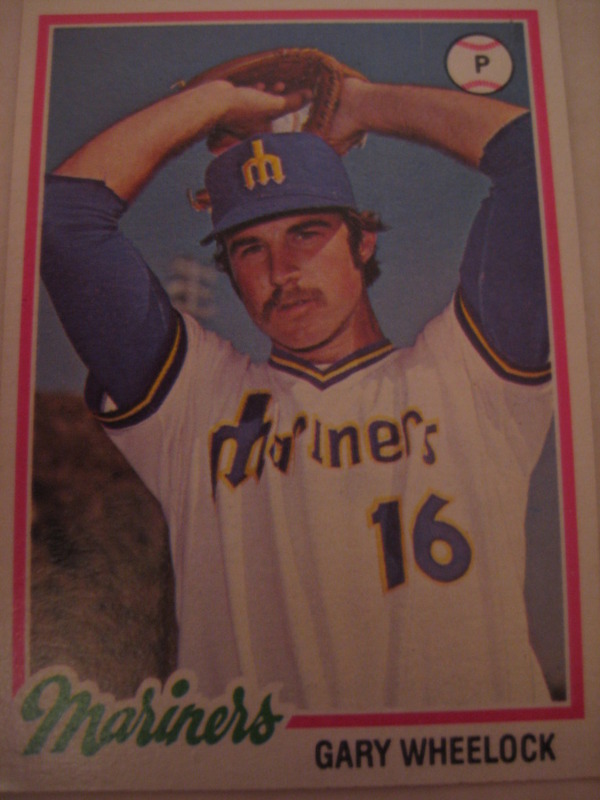 Gary Wheelock pitched seven seasons of professional baseball, including in the major leagues with California and Seattle between 1976 and 1980. Since his retirement as a player, he has stayed active within the Mariners organization, and is currently the pitching coach for their Arizona Rookie League team in Peoria. He kindly sent me his thoughts on baseball cards. "I collected baseball cards when I was young and again about 15 years ago. I have a few thousand cards, but have not actively collected for many years now. 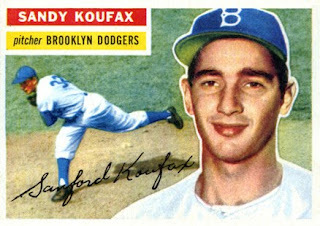 My favorites would be a 56 Koufax Topps card and my 2 Topps cards." I was going to just title my post "Bleah," but then I saw Cards on Cards's post and decided to follow his lead. I went to the Yankees-Orioles game today and saw just about the most uninspiring, sloppy, dull game imaginable, as the Yankees lost 4-3. Very hard to believe this team has the best record in baseball - they look like they are going through the motions. The one highlight for the Yankees was home run #605 for A-Rod, who drove in two of the three Yankee runs. Pat Perry enjoys Playing Ping-Pong in his spare time. He now runs a Pitching camp at the Pond athletic association. He was 0-1 against the Philadelphia Phillies (guess he doesn't like P's that sound like F's) but was 2-0 against the Pittsburgh Pirates. Presumably, he eats Peanuts, Peaches, Pumpkins and Pizza. Probably he signs Pictures in Pencil or Pen. Possibly he Parties with Pat Pacillo, Pascual Perez and Placido Polanco. Lee Guetterman pitched eleven seasons in the major leagues, mostly with the Mariners and Yankees. In 1989, with the Yankees, he set a major league record by starting the season with 30 2/3 scoreless innings, a record for a relief pitcher. The next year he led the Yankees in victories with 11. Now the baseball coach at the Crossroads Christian Academy in Tennessee, he kindly responded to my questions about baseball cards. 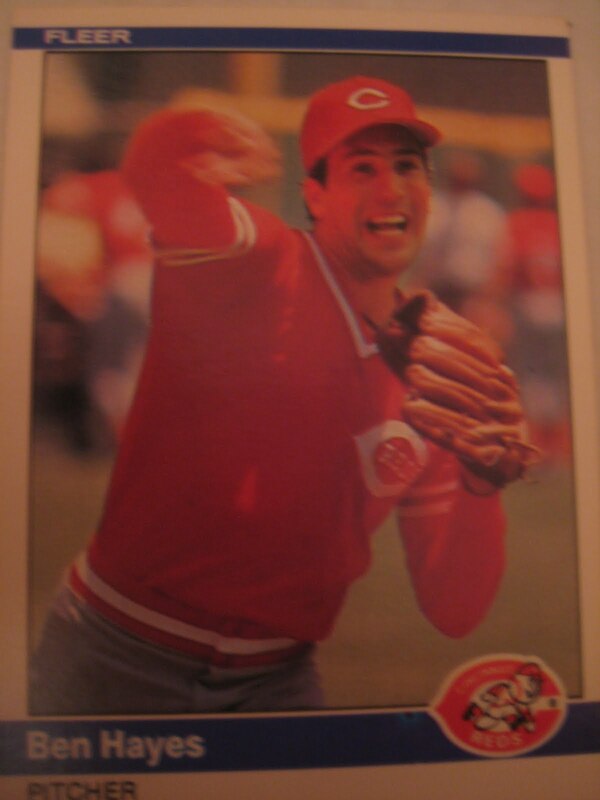 "I only wish they (photographers) would taken a better picture of my rookie card with Topps. I do not collect them now; I did a little back when I was younger." Thanks! 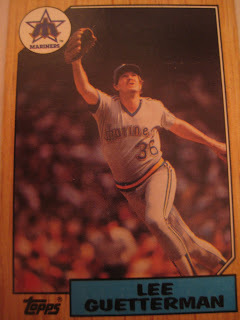 Personally I think this card is a cool action shot, though I guess it is a bit awkward. 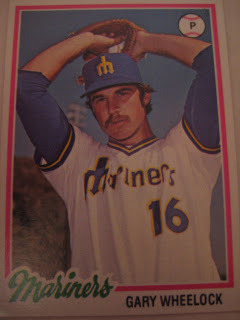 How did Donruss make this error? In 1982 Donruss, Juan Eichelberger's card was originally printed with Gary Lucas's picture. They later issued a correction. As you can see, they don't look anything alike. How does Donruss make this error? It's not even just that one player is black and one is white. You can clearly see Lucas's name on the back of his jersey! 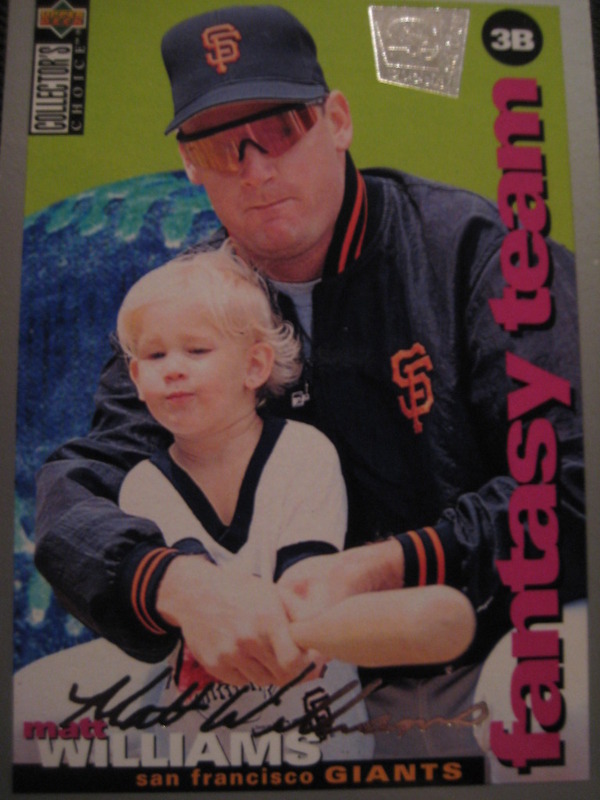 If you had Matt Williams on your fantasy team in 1994, you would have done very well. He hit 43 home runs to lead the National League. Maybe in 2024 you'll want his son Jake Williams (who has the same grimace as his dad) on your fantasy team. Right now he is a freshman 1B/LHP at the University of San Diego. 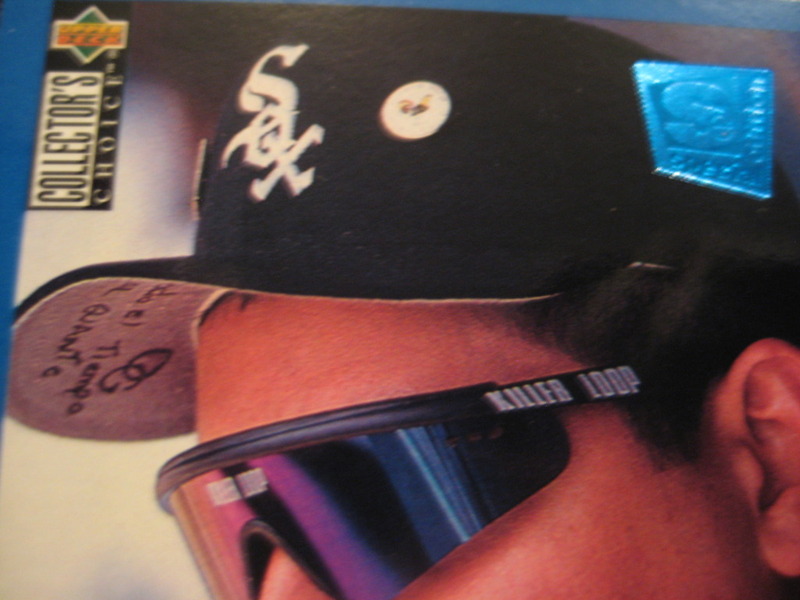 There's so much going on above Wilson Alvarez's Killer Loop sunglasses on this 1995 Collectors Choice SE card. There's a pin with a picture of a rooster, and at least one more pin on the other side. Also, there is a lot of writing on the bill - an interlocking OG, and a phrase that includes "el tiempo" (the time) and "el guante" (the glove). I wonder what the whole phrase is? And what the rooster means?